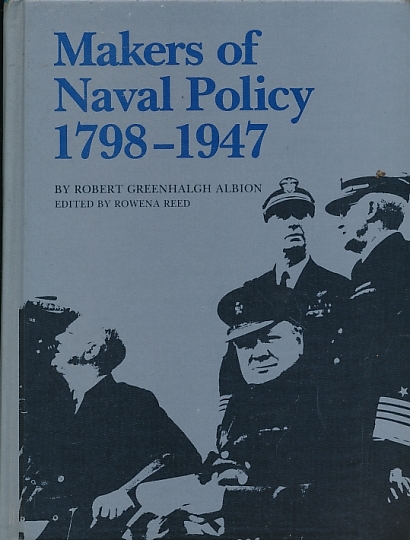 Barter Books : Albion, Robert Greenhalgh : Makers of Naval Policy 1798-1947Naval & Maritime History. An Annotated Bibliography. 240 x 180 mm (9 x 7 inches) - x, 737pp. Blue illustrated hardback cloth cover.